Even the most conservative of home networks in 2019 are likely beginning to expand beyond the usually paltry number of Ethernet ports that are available on a router. If you like to make sure that you have the fastest, least latency-laden connection available, that’s going to be a problem. What you need is a switch that can take one Ethernet port and turn it into many, like this TP-Link Gigabit Ethernet Switch. TP-Link has quietly created a name for itself as one of the best, most reasonably-priced purveyors of network hardware around. It’s often without some of the bells and whistles of more costly products from the likes of NETGEAR, but if you want something to just work without causing a fuss, you can’t go far wrong with TP-Link. 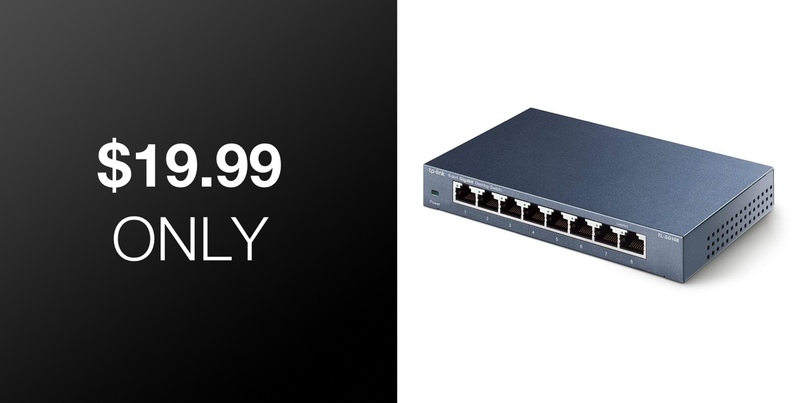 This 8-port hub is a prime example of that, and it can be yours for a great price of just $19.99. It’s not often you get the chance to pick up anything at half price, but this hub is a great example of when it happens and it’s a bargain too good to refuse. 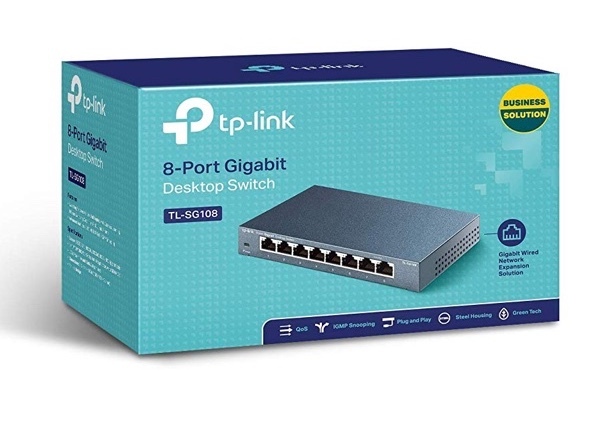 All of the ports are Gigabit-enabled, which means you don’t have to decide which devices are going to get a full speed connection and others have to settle for just 100Mbps. Everything is truly plug and play, too, so no configuration is needed. Simply plug cables into this thing and away you go. You can’t really get much simpler than that. We’ve long been huge fans of the work that TP-Link does and wouldn’t hesitate in recommending picking any of their products up right now. The fact you can save $20 here is just the icing on the cake.